As a leaders of this globe, we have rights and obligations. We have duties as citizens to educate our next generation of leaders and to manage our resources. It is important to talk about value-based leadership, team-based leadership, and use-of-natural-resources leadership. Value-based leaders have embedded their value system and use it all the time. When we talk about value-based leadership it is important to have an honor code, a set of specific statements that are going to be the foundation of who you are. Who is the kind of person you want to show to others. What are the values that you have in the base of your pyramid. Examples, Pledge of Allegiance, Scout Oath, Code of Conduct. You have to list and organize a set of fundamental parameters as life standards or commitments. Examples, Constitution, Commandments, Scout Law.They are a set of rules to lead or live better. Our youth needs to learn to be in a team. Sometimes you are a follower, sometimes you are the leader, but sometimes you are the person who puts the pieces together, coordinator, communicator, organizer, thinker, or caller to action. It is also important to have a continuous progression and assess the process to make adjustments to personal advancement. Use self-evaluation or feedback evaluation from others to be in the right track. We are part of a global community. We are not only in own specific city or country. We think and act locally but we also should think and act globally. We belong to one world. “E Pluribus Unum”, out of many one. We belong to a society that are part of other groups. We have to respect the differences in religious, races, national origin and languages in order to be able to bring everybody to the mix. We are not a melting pot, we are a “big salad” where flavors and colors are added to be mix and then we can enjoy the benefits of being a global citizen. Leadership is a process that involve everything you do in life. It is embedded in your blood. Be a role model to others. For these reasons, I challenge you to teach leadership skills to the next generation. Involve children into youth leadership courses and youth groups. They will learn how to lead our world with a better foundation . Get children involved in youth leadership training, teamwork based training, and value based leadership training. If we want codes, laws, rules, or rights to be applied in our world,we have to teach the next generation to read and apply them in their local communities. Then we have to teach them to think and act locally and think and act globally to build a better world. Be a global learner. Be a global leader. Be a global citizen. Lead Yourself and Be Prepared to Change…using a Personal Leadership System. What’s Next? What are your life management challenges? What’s Next? this is a question that the Next Manager is asking every day. Constant changes in organizations have challenged people to think about next moves, decisions, plans, and actions. We live day to day and asking What’s next. The Next Manager newsletter (www.nextmanager.org) is using the collaborative effort of Twitter (@Next_Manager) to find answers, guidance, and ideas to keep our daily journeys. Social media have helped us to expand our reach via Internet. Going back to reality and basics we are now using social media in our homes and offices combining online and mobile technology with real “old fashion” technologies. 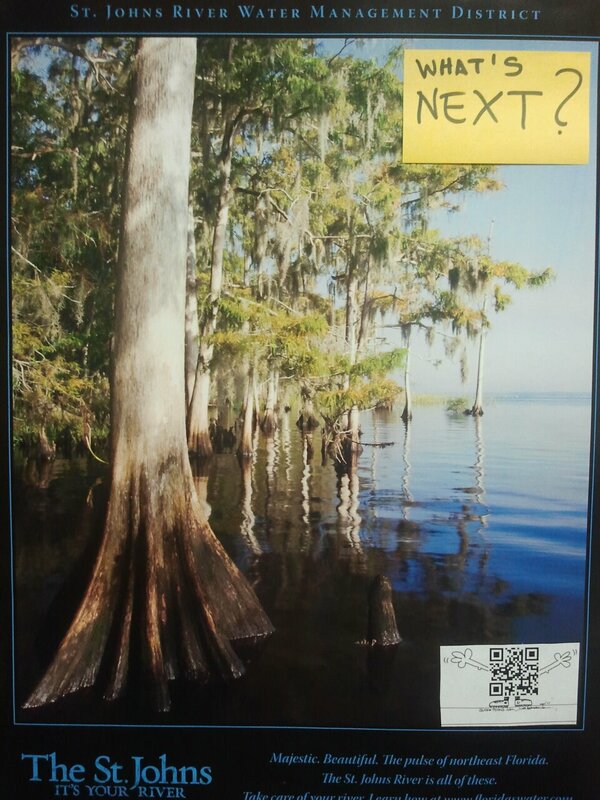 Visit our FSCJ Kent office at D-214, pick a sticky note and post your answer to “What’s Next? on the poster. Welcome to our real “Social Wall”. Online students can post your answer as a comment here. Social wall responses will be shared here. 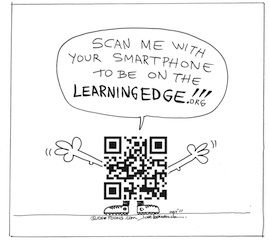 You can access this page via QR Cody cartoon on poster. Like “Next Manager” in Facebook.